10Rate.com editors and reviewers rate and review the 2012 best Smartphone and iPhone Cases on a scale of 1 to 10. 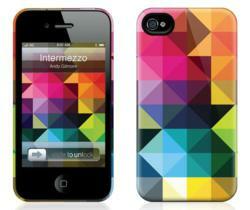 GelaSkins received a 9 out of 10 rating in 10rate's Top Ten Smartphone and iPhone Cases. A major retailer of smartphone and laptop accessories, HiTech Closeout features products at surprisingly low prices. Whether you need a protective case, screen shield, armband, or charger, you’ll find plenty of products to choose from.